Cataracts, one of the leading causes of blindness in the world, may one day be treated with specialized eye drops in place of surgery. 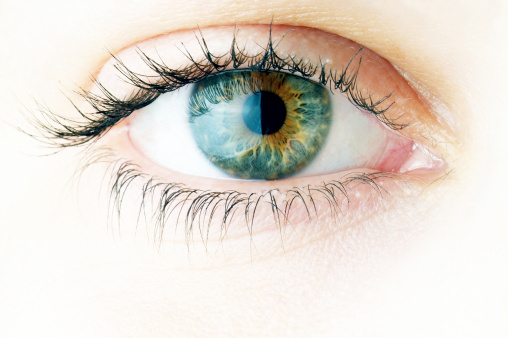 In a new animal study out of the University of California, San Diego, researchers looked at lens cells of humans. They found that treating them with lanosterol—the molecule in the lens that’s an essential component of building natural steroids in the body—decreased the amount of clumping in the crystallin proteins that form cataracts. Crystallin proteins work to keep your lens clear and allow your eyes to change focus, but when the structure of these proteins gets disrupted, they form clumps that make the lens cloudy—this is what turns into cataracts. In the second phase of the study, the lanosterol was shown to reduce cataracts and increase lens transparency in rabbit subjects. The researchers then performed a third test, this time on cataracts in live dogs using the lanosterol solution as both an injection and an eye drop. The results showed that the lanosterol again reduced the protein clumping associated with the formation of cataracts. The findings from this study, which have been published in the journal Nature, show that lanosterol is an important molecule that plays a key role in the prevention of protein clumping in the lens, which in turn may make it a useful component in the treatment and prevention of cataracts. If a lanosterol eye drop is as successful in human trials as it was in these animal studies, it could make for major advancements in the treatment of cataracts. It would also make cataracts treatment more easily accessible since, as the World Health Organization reports, surgery isn’t an option in many parts of the world. This is part of the reason why cataracts continues to be a leading cause of blindness. Zhao, L., et al., “Lanosterol reverses protein aggregation in cataracts,” Nature 2015, doi: 10.1038/nature14650. Paddock, C., “Cataracts may be treatable with eye drops instead of surgery,” Medical News Today web site, July 24, 2015; http://www.medicalnewstoday.com/articles/297240.php.